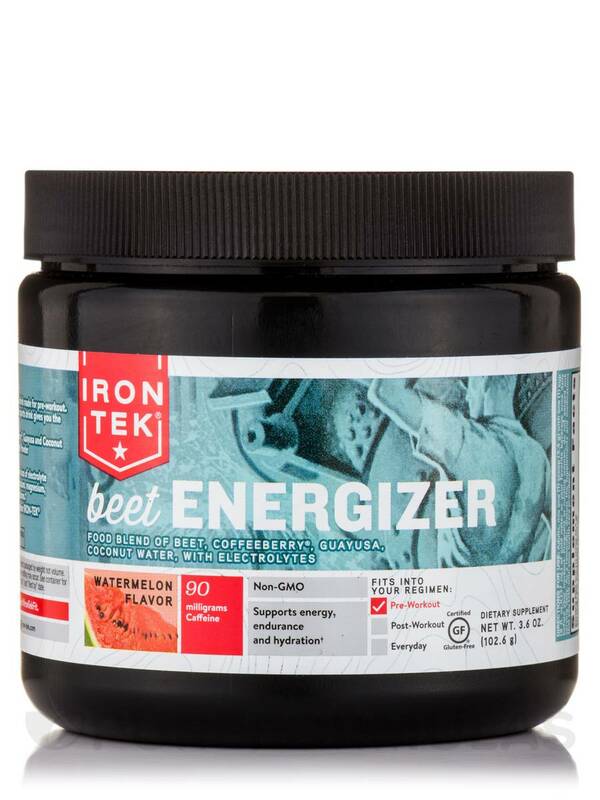 Iron-Tek® Beet Energizer‚ when mixed with water‚ is a drink made for pre-workout. With ingredients that come from nature‚ this alternative sports drink gives you the energy and endurance to help you perform your best. 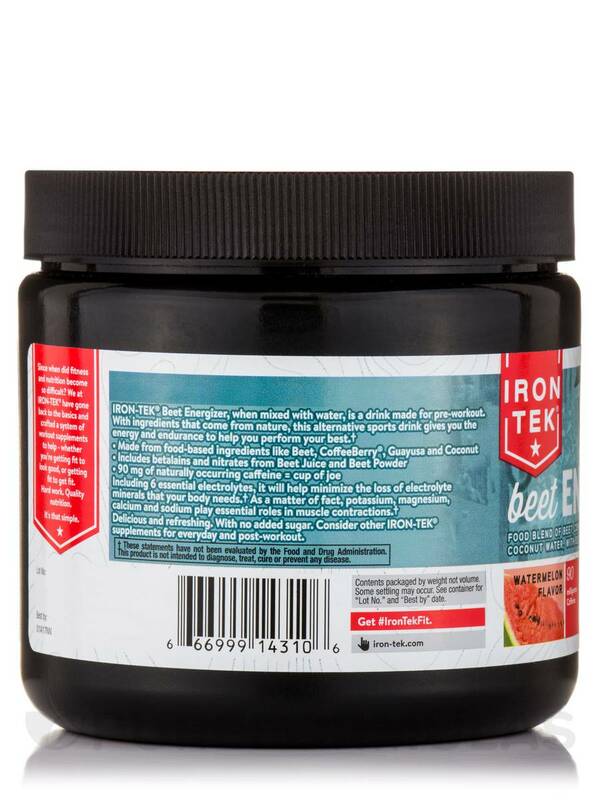 Beet Complex (Beet Root Powder‚ Beet Juice Concentrate (Root)). Guayusa Extract (Ilex guayusa) (Leaf). 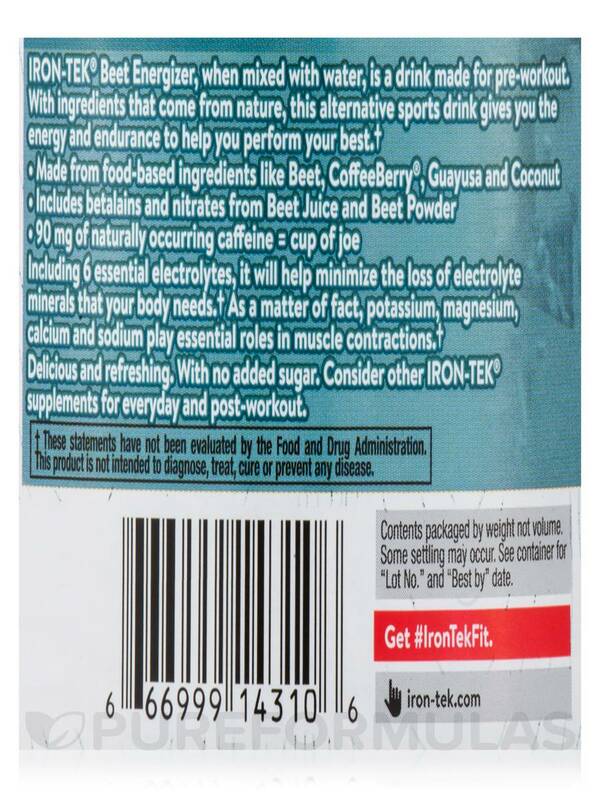 Other Ingredients: Natural watermelon flavor‚ luo han fruit extract‚ silica. Gluten-Free / Kosher / Yeast-Free / Wheat-Free / Soy-Free / Milk-Free / Preservative-Free / Non-GMO. 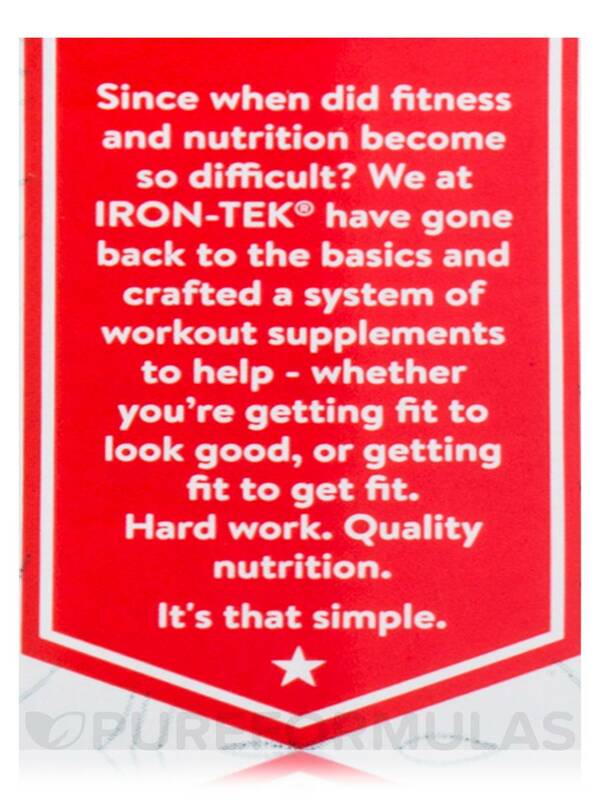 No Artificial colors‚ flavors or sweeteners. 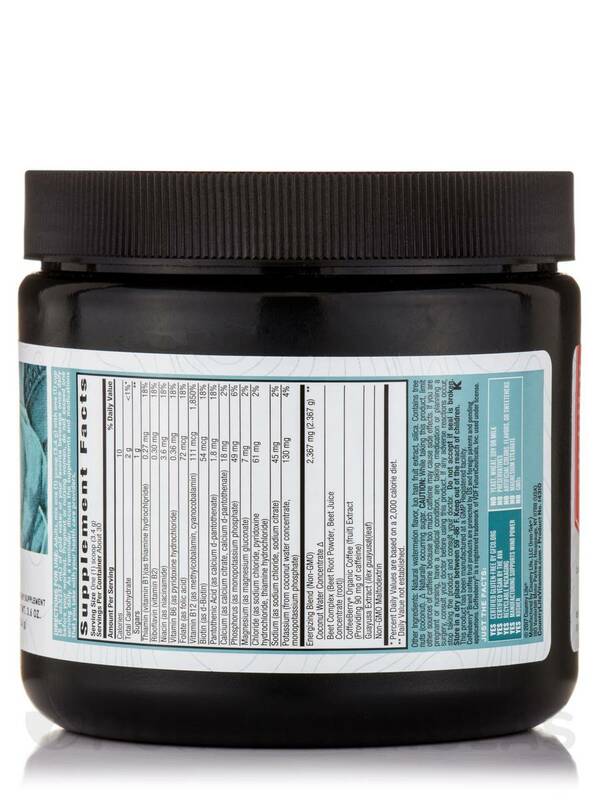 Adults‚ mix one (1) scoop (3.4 Grams) with one (1) cup (8 fl. oz.) 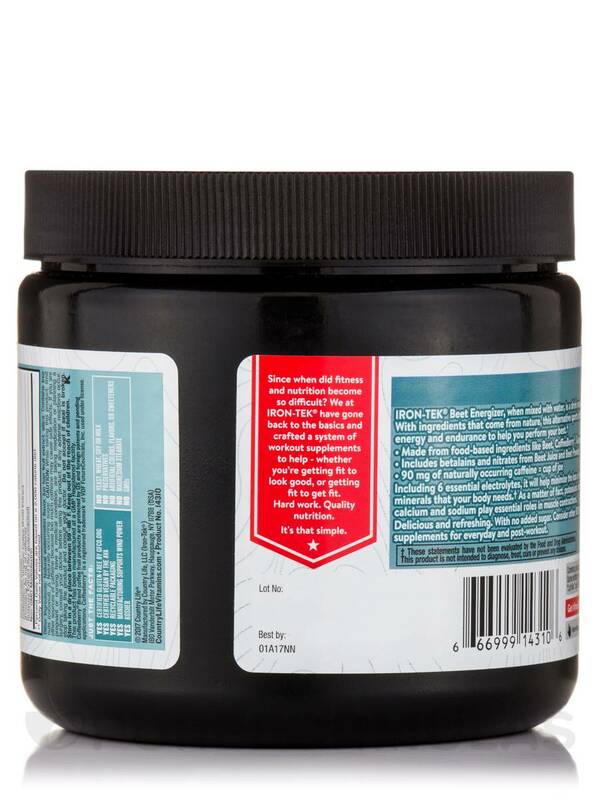 (237 ml) of cold water or your favorite beverage once daily before your workout. 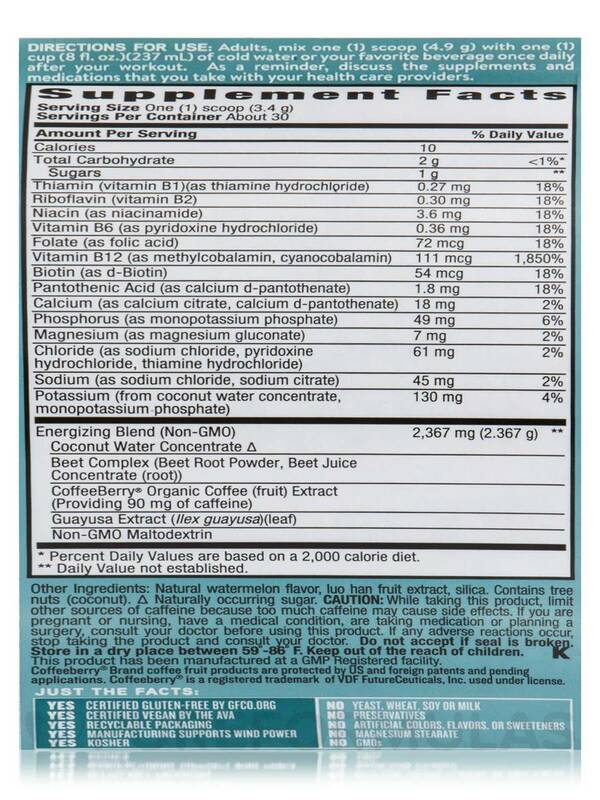 While taking this product limit other sources of caffeine because too much caffeine may cause side effects. If you are pregnant or nursing‚ have a medical condition‚ are taking medication or planning a surgery‚ consult your doctor before using this product.